Like most private schools, William Bradford Christian School’s continued excellence relies on prayers, gifts of time, talent and financial resources from the entire school community. The generosity of our supporters impacts all areas of school life including academics, athletics, the arts, financial aid, technology, facilities, and staffing. Such support comes in many forms: donations to the Annual Fund, Planned Giving, participation in Parent Teacher Organization, support of school fundraisers, and volunteering at the school. We are a non-profit 501(c)(3) so all gifts are tax deductible. Prayer - Pray that God would use our students, teachers, and community to make an impact for Jesus Christ. Volunteer - Help our in the classroom, library, landscape, or one of our three fundraisers: Mayes County Bake Sale (September), Bean Supper and Pie Auction (February), and/or Fireworks (June & July). Refer Others - Refer WBCS to your friends, philanthropic individuals, family foundations or organizations. Sponsor a Student - Contribute a financial gift to support our student scholarship program in the form of annual, monthly, or one-time donations. Cash - a very simple way to give. You give WBCS an immediate gift, paid via check. It can be a one-time gift, a gift of monthly payments, or make a pledge of a one, two, or three year commitment. Mail gifts payable by check to William Bradford Christian School 2320 N.E. First Street, Pryor, OK 74361. Matching Gifts – Since WBCS is accredited by AdvancED you may be able to double or triple your gift by participating in your company’s matching gift program. Ask your personnel office for the proper form to send to William Bradford Christian School. 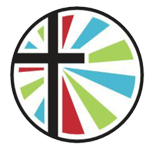 Memorials - Make a gift to the William Bradford Christian School in memory of a loved one. Marketable Securities such as stocks, bonds, or mutual funds - Receive a charitable deduction for the full fair-market-value and gain tax on advantages on any capital gains. Donors who have experienced growth in their investments are in an excellent position to donate appreciated securities to the school. Life Insurance Policies - Receive a deduction on the computed current value of your paid-up policy or premium payments. Name William Bradford Christian School as a beneficiary in a new or current policy and provide a substantial gift through small premium payments. Consider WBCS before dropping or discontinuing a life insurance policy. Boxtops - We all shop for groceries, sometimes two or three times a week or more. Now turn those shopping trips into easy cash for Bradford Christian School (zip code 74361) and encourage friends to do the same. Just look for the Box Tops logo on hundreds of products like Cheerios®, Hamburger Helper®, and Kleenex® in almost every aisle of the store. All you need to do is clip and send them to your school’s Box Tops coordinator. Each one is worth 10¢ for WBCS. Go towww.boxtops4education.com for a list of products and coupons. Good Search and Good Shop - Search the web to support William Bradford Christian School. Also, find online coupons, coupon codes, deals, discounts, and promo codes at www.GoodSearch.com andwww.GoodShop.com. GoodDining - Start earning donations today with GoodDining. Join GoodDining for free then dine to earn up to 6% for William Bradford Christian School. Help WBCS just by visiting www.gooddining.com. Homeland (Dollars for Schools) - Link your Homeland One Card to Bradford Christian School. Our code is 63022. Use that Homeland One Card every time you shop. The dollars automatically add up - no more receipts to keep. Your personal rewards are not decreased because of supporting a school. If you don't have a Homeland One Card, you can get one for free. Any Homeland One Card customer can support William Bradford Christian School so encourage friends and family from all across the state to join. If your family has more than one Homeland One Card register them all. Each card can be linked to Bradford Christian School, or if you want to support more than one school, link different cards to different schools. Gifts in Kind - In certain circumstances, William Bradford Christian School accepts donations of equipment, materials and supplies that the school can use.